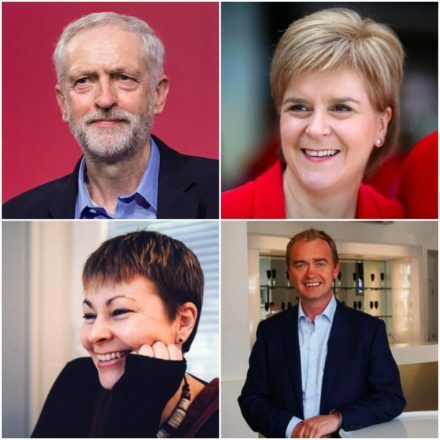 I’m bemused by the sudden resurgence of interest in the notion of a “progressive alliance” – a deal between Labour, the Lib Dems, the Greens and presumably the SNP and Plaid Cymru in Scotland and Wales to back a single candidate against the Tories in some or all parliamentary seats. Now the noises are even louder regarding the Richmond Park by-election, with calls for Labour to let the Lib Dems have a straight fight with Zac Goldsmith from soft left group Compass, who are obviously feeling the need to seek attention given the way they are now overshadowed by Momentum. I find this whole concept bizarre. There is no prospect of Labour taking a tactical decision to sit out a by-election or certain seats in a general election, so why keep raising the idea? Doing so only reinforces the Lib Dems’ narrative that there are certain seats that only they can win, and helps them tactically squeeze Labour’s vote. As a Labour Party member I believe that Labour’s ideology and policies and candidates are superior to those of rival parties. It therefore follows that I want to be able to vote Labour in all elections and to see Labour maximise its vote in every constituency. If I didn’t believe this why would I be a member? I would be outraged and see it as an affront to my democratic rights if I arrived at a polling station to find there was no Labour option on the ballot and I was forced to make a choice between two parties, Tory (or “independent Zac” in the case of Richmond Park and Lib Dem) both of which I am hostile to. I am opposed to tactical voting but it is people’s right to vote tactically if they want to. What isn’t right is to propose that Labour should enforce tactical voting whether our supporters want it or not, by not fielding a candidate. Labour and the Lib Dems exist as separate parties for a good reason. Until 1900 voters were faced with a binary choice in most constituencies – Tory or Liberal. The trade unions and the working class people they represented gave their votes to the Liberals but never saw their policy agenda advanced with sufficient vigour in return. So they set up a separate party, Labour, that would have as its purpose the advancement of that agenda and those class interests. Whilst many democratic socialists are also small “l” liberals, and there may be some shared policy goals, democratic socialism and liberalism are not the same thing, and when you start talking to Liberal Democrat activists you quickly realise they have a profoundly different world view to Labour people, rooted in the primacy of the individual and their liberty rather than the achievement of liberation for all of society through solidarity and collectivism. I didn’t believe the Lib Dems were particularly progressive before 2010, having seen too much of their anti-Labour campaigning in urban areas and their fondness for council coalitions with the Tories. But how anyone can categorise them as “progressive” after 2010 is beyond belief. Are our memories really so short that we have already forgotten that the Lib Dems decided, faced by a choice between a coalition with Labour and one with the Tories, to participate in a Tory government for five years? That they swallowed all the Tory spin about the need for austerity and subjected the country to cuts to public services that were so socially and economical damaging? That they sold out the pledges they had made on issues like student funding? What sort of choice would it be to offer voters in Richmond Park a Tory or a candidate from a party that put the Tories into government and kept them there for five years? If you care about the Labour Party, the last thing you would do is enable the resurrection, via the traditional route of a string of by-elections, of the Lib Dems. It’s bad enough that we have left a vacuum in the centre ground of politics for them to grow in by moving to the left. To deliberately step aside and help them recover would be suicidal. The Lib Dems are not our friends. They don’t look at Labour and see potential allies in a progressive alliance. They see us as electoral and ideological enemies whose very creation in 1900 was in their view a historical wrong turn that need to be corrected. They hope that declining class alignment and our political misjudgements will enable them to destroy and marginalise us and return to the Liberal vs Tory status quo ante of two rival middle class parties. In major towns and cities such as the inner London boroughs, Manchester, Liverpool, Leeds, Hull, Newcastle, Sheffield, Bristol, Bradford, we spent decades with the Lib Dems as our main political opponents (they had pushed the Tories out of business in these areas) taking Labour council seats and threatening parliamentary ones, and doing so using the most scurrilous campaign tactics possible. We only just got rid of them in these areas. Now we want them back? In rural areas they squeezed our vote to nothing by advocating tactical voting, then spat in the faces of the Labour people who had tactically backed them by forming a coalition with the Tories. We had a once in a lifetime opportunity to make Labour the main opposition in such areas. We have huge numbers of new members in this kind of seat. Are we just going to concede them again? As for the Greens, like the Lib Dems they see us as a party of an industrial past that they will eventually supersede. They have no connection to the interests of working people at all, their anti-materialism works if you are a comfortable bourgeois radical but not if you are poor and need economic growth and redistribution to improve your life. They want to take from us electorally – to get a free run in Brighton Pavilion or its successor seat – to continue to threaten us in inner London, Bristol, Norwich, Oxford, but to give nothing back in return. To be frank, if people are still Green not Labour when Jeremy Corbyn is Labour leader, they are never going to vote for us. Nor should we forget their habit of propping up Tory and Lib Dem administrations whenever they have held the balance of power on a council. Belief in a “progressive alliance” is a delusion. Wishful thinking that if you can add up all the non-Tory parties you somehow can beat them. You can’t, because Tory + UKIP exceeds 50 per cent, the “progressive” vote is distributed in the wrong seats to win under first past the post, and Lib Dem politicians and voters aren’t necessarily on the centre left. It’s borne of a premature despair that Labour can ever win again by itself, or a refusal to countenance the tough choices needed to make Labour electable. It emanates in the main from Labour people who seem oddly disdainful towards and to find distasteful Labour’s history, culture, members and voters, and to find those of rival parties strangely but usually unrequitedly attractive. There’s no getting over the basic facts of politics. Labour needs to win more votes if we are to form a government. It can get some of those from current supporters of rival “progressive” parties but these are too few in number and too badly distributed in non-marginal seats to deliver a win. So we need to win over people who voted Tory, UKIP and SNP in 2015 in very large numbers. And that requires us to take tough decisions about what policies, presentation and personnel will gain those votes, not fantasise about mobilising a chimerical “progressive alliance”.